I registered our domain qualitypointtech.com in 2008 i-e around 6 Years back. The domain was registered with Net4India (Net4in), and I got server space from Net4in and hosted qualitypointtech.com there. After launching qualitypointtech.com, I had started lot of other websites (more than 25). I registered all of them with Godaddy and hosted with hostgator and bluehost servers. Customer support from GoDaddy, Hostagor and Bluehost are comparatively better than net4in. But I kept the domain and hosting with net4india in the past 6 years as I haven't focused much on qualitypointtech.com. While making this change, I have noticed that net4india hosted pages are taking more time to load, comparing to our other sites. So, I thought of moving the web page files from Net4In to Bluehost server while still keeping the domain with net4in. That time, I came to know about some negative review comments about Net4India. I am not sure whether they are valid or not. Anyway, I have decided to move the domain from Net4India to GoDaddy so that I can easily manage this domain along with our other domains. So, I logged into my Godaddy account and initiated domain transfer process, by making payment for the domain transfer. Initially I thought I need not make any payment for transferring domain as I already renewed it from net4india itself. Anyway, domain transfer payment extended the domain life one more year. Previously I did lot of domain transfers. But all of them were within GoDaddy only. i-e just domain pushing or change of account which is very easy process. After completing the domain Transfer Payment, GoDaddy sent me Transaction ID and Security Code which are required for entering AuthCode for Domain transfer. I loggedin to my Net4India panel and generated AuthCode for the Domain, and entered it in GoDaddy Panel to initiate the Domain Transfer. I thought this transfer will be done in few hours. But GoDaddy status was saying that it is waiting for the approval from the Domain Sender and it will take around 7 days. I contacted Net4india support thro' their support ticket system to make sure that the domain is unlocked for enabling transfer. I was very much concerned about avoiding any down time during this domain transfer process. Because this blog has started recovering from some Google search issues in past few days. I don't want this recovery process getting affected by downtime. So, I wanted to add the CNAME records for this Blogger blog from GoDaddy so that we can avoid any downtime for this blog. But, I came to know that we can not do the DNS settings for the "transferring domain". It seems we can do the DNS settings from GoDaddy only after the domain got transferred successfully. To handle this issue, I added this domain as addon domain from Bluehost control panel, and added all the required CNAME records for this blog. And, I copied all the webpages files of qualitypointtech.com site to Bluehost thro' ftp. i-e My plan is, qualitypointtech.com will be hosted in Bluehost , blog.qualitypointtech.com will be hosted with Google Blogger, and CNAME records for the blog will be kept with Bluehost. Everything looks good. Only thing is, I need to add the Name Servers (NS) of blue host with the domain provider. Since adding NS records in Godaddy before completing the domain transfer is not possible, I decided to replace the net4india Name Servers with Bluehost name servers from Net4India control panel itself. But I couldn't do it. It seems after initiating domain transfer process we can not make any changes from current domain provider also. Because of these limitations, I expected some downtime during this transfer, and I thought I need to immediately put the BlueHost Name Servers from GoDaddy once after the completion of domain transfer. Today I got email from Godaddy about the successful completion of the domain transfer. Surprisingly there is no downtime for both website and blog. Because domain got transferred with all the DNS settings. So, everything was working fine (with old settings). Then, I replaced the net4india name servers with Bluehost name servers from GoDaddy control panel. For few minutes I kept name servers of both net4india and bluehost to handle the DNS propagation delay. After that I removed the Net4india Name servers. Now the site is getting loaded from bluehost, and I am seeing significant improvement in page loading speed. And, blog is loaded from Google server while DNS resolving will be done by both GoDaddy and Bluehost. Let me know if you face any difficulty in accessing our site and blog. Personally, I like Net4India, irrespective of their poor customer support, loading speed issues and slightly high price. Because, Net4India has taken initiative to start the web business in India at the time when the multi national hosting companies are not focusing on their business in India. Net4India will be helpful for Indian users by accepting cheque while other hosting companies and domain providers need paypal or creditcard. And, I came to know that Net4India is having data centers in India. So, we can give preference to Net4India hosting if our target audience are available in India. Anyway, right now I have to make this decision of moving away from net4india as our Target audience are outside India. Have you done any Domain transfer previously? 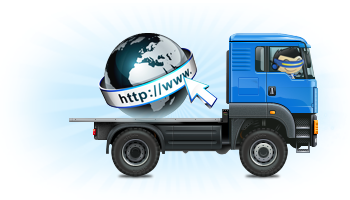 Whether we need to consider any other factor while transferring domains? Can you share your experience thro' the comments? My domain namme is web4app.com. I also want to transfer my domain to new registrar. They provided me the authorization code but every time when i try to transfer my domain, i receive transfer fail email. They are not authorising as admin to transfer domain. Please suggest me your suggrstion.